Complex says: After Wayne dropped “I Miss My Dawgs” and all these guys patched things up a few years back, we figured as soon as Turk got out of jail this album would happen. The only thing that concerns us is how the tables have turned: Back in the ‘90s Wayne was the young boy in the crew, but now he’s the biggest star by far so Turk, B.G., and Juve need him way more than he needs them. As far as the album itself, it would be a return to form for Wayne as goes back to his New Orleans bounce sound and rocks a Pen & Pixel inspired album art. 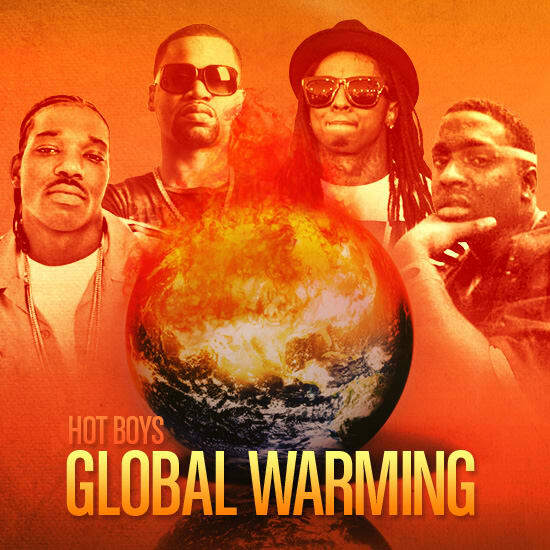 The lead single will feature Al Gore as he attempts to raise awareness about the worldwide leader in carbon gas emissions: The Hot Boys!